Sometimes we are so focused on the next front in the effort for a city that is safe, easy and convenient for people to get around by bike that we don’t properly reflect on our achievements as they happen. Since Space4Cycling Brisbane formed three years ago, our combined efforts have achieved some remarkable things. We have gone from being ridiculed by Council as extremists for suggesting 30km/hr local residential streets to the Move Safe initiative, that considered that very policy and has implemented a reduction of Ann Street in the Brisbane CBD from lethal 60km/hr to much safer 40km/hr. We pushed for Council to deliver Indooroopilly Bikeway Stages 1 and 2 together, and that is what they have committed to do. We campaigned for Brisbane Metro to ensure a dedicated cycleway was included on Victoria Bridge, and Council has listened. We supported our friends at Stones Corner Road Safety to get a much needed underpass on Logan Road, and this week Council has committed. We advocated to ensure the Sumners Road Interchange and Ipswich Motorway Upgrade properly catered for bicycles, and the State Government has committed to deliver. We pushed for Stage E of the V1 Veloway to be constructed, and the State Government has started. 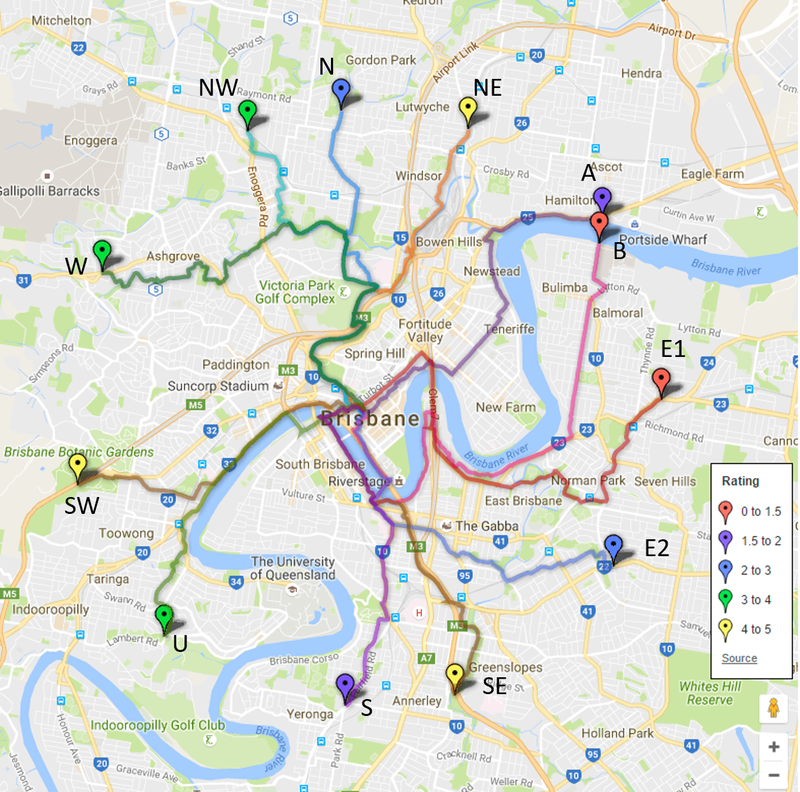 When Council proposed the east-west link from the North Brisbane Bikeway to Kedron Brook Bikeway, we pushed the State Government to deliver on the existing North-South plans – and they have committed. We petitioned to have better, Go Card integrated secure bike parking at public transport, and the Minister has agreed in principle. We pushed for the Kangaroo Point bridge to progress, and Council and State Government have committed to a business case. We catalogued and prioritised banana bar removal across the city, even pointing some out that Council didn’t know about, and Council is beginning that process of removal. And, of course, keeping the pressure on so all those commitments we’ve earned get delivered! Thanks for your ongoing support. Whether you attended our Big Push for Road Safety rides, came to our Brisbane Bike Bites film festival, sent postcards, wrote to your MP or councillor, signed petitions, attended community consultation sessions, came along to our Tuesday night slow rolls, attended our picnic in the plaza at Queen’s Wharf, helped with our pop-up bike lane in West End, attended our Victoria Bridge Die-in, or simply shared our messages on social media or told your friends, you’ve made a difference. Our voices are powerful, and we are creating change.